But after he rose from the dead, Jesus went and found Peter and forgave him. He explained that his death took the punishment for all of Peter’s mistakes and that his resurrection showed that the penalty was lifted. Peter spent the rest of his life telling people that if they put their trust in Jesus, they could be forgiven too—again and again and again. This is a first storybook for Dan, although he has self-published some chapter books for older children called The Owlings. He is also the author of Life in the Wild. We don’t need to look like Peter or sound like Peter to find ourselves acting like Peter — saying foolish things to and about Jesus Christ. So it’s great to be reminded how Jesus is always a far better friend to us than we are to him. This book is beautifully illustrated, theologically strong, and, most importantly, kids will love it! 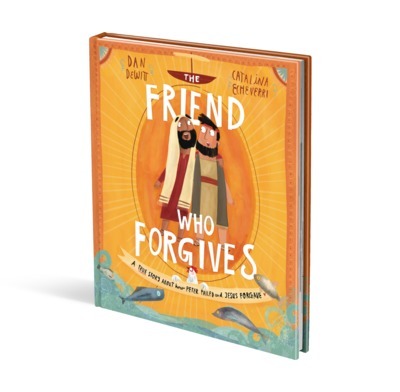 As a dad, I want this book because it will help me instill the importance of forgiveness in my kids from a young age. A stunning book that tells the story of bumbling, enthusiastic Peter and his friendship with Jesus, through the good and bad times. It's illustrated with the most beautiful, detailed, and characterful pictures. Another favourite to add to the collection. I bought 3 of this books for Christian and non christian friends children. The children and their parents have really enjoyed the book and being introduced to the bible in a easy accessible way. We have the whole series of these books. Another great addition. Great pictures and good wording. Our 2 and 3 year old love it! The Friend Who Forgives relates the story of the relationship between Peter and Jesus specifically as Peter denied Christ yet Christ forgave Him. 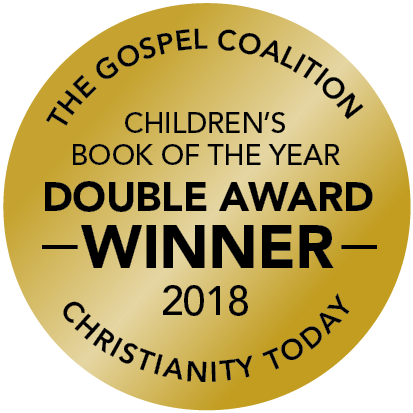 This book draws instances from various New Testament passages and retells them in a way that is easy for children to understand. The Friend Who Forgives ends with the simple Gospel reminder that, ". . . if you trust in Jesus, he will forgive you, too - again, and again, and again." I read this book with my two-year-old daughter and she really enjoyed it. Accompanying the story are beautiful illustrations that are fun for kids and enjoyable for adults alike. I'm excited to add this book to my daughter's story time rotation because the reminder of our forgiveness in Christ is one our hearts need daily. The primary audience for this book is young children but older children and adults will find themselves encouraged by reading it too. I received The Friend Who Forgives compliments of The Good Book Company in exchange for my honest review.